Our Vibro Screen Machines differ in size of different types of materials like Granule, Powder, etc,. 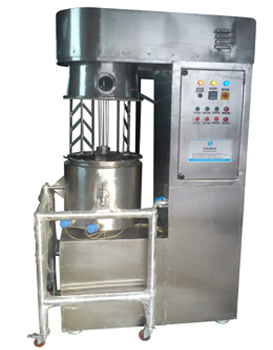 Our Machine is more useful in the organization like Mirch powder, cumin powder, etc,. These products variably find its applications in industries like. These products are also known as Vibro Screen & Gyro screen as well. What is a rotary airlock valve? Rotary Airlock Valve is commonly used in the agricultural and industrial application as a component in a material handling system. And this product is widely used for the dust discharge of bulk solid material. It has the discharging function to make more preferable other than the products available in the market. And this product is specially designed for the well-experienced expert team to provide excellence airlock sealing. The Rotary airlock Valve design is unique, capable of posture maximum temperature and pressure and gas leak free. 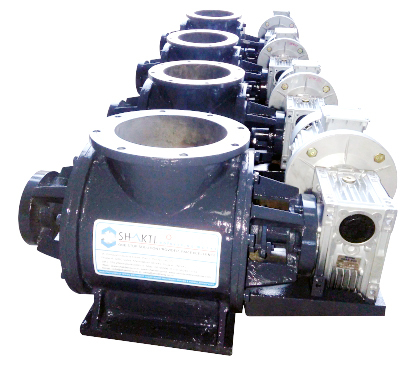 The organizations offer these rotary airlock valves in different sizes which ranges from the 150 mm to 600 mm as per the customer’s requirement with the unique and customized solutions. And it is used in various industries for a different reason such as solid-gas separation and solid metering applications. There are many features available in the Rotary airlock Valve. Reactor vessels are located in the heart of the chemical plant. The reactor pressure vessel is the pressure vessel containing nuclear reactor coolant in the nuclear power plant. It has core shroud, reactor coolant as well as the reactor core to the excellence so that it would be a great option for increasing safety procedures. All the power reactors have the extensive reactor pressure vessel and it has been classified based on the coolant with the configuration reaction of the vessel that is used in the coolant. Based on the chemical Changes as well as reactions that take place, Type of Reactor presser Vessel varies in the extensive manner. The stainless steel liquid mixed in the tanks is also highly efficient for using the robust mixing structure suitable for mixing the different chemicals as well as ingredients. 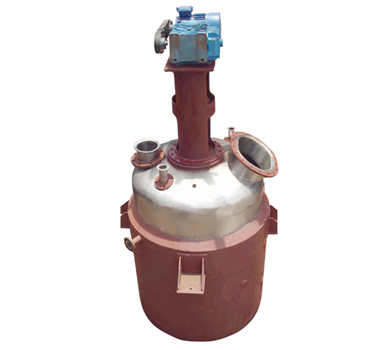 A recognized firm is also engaged in manufacturing the extreme efficient type of Reactor Vessel with the central component of reactor coolant system. One of the most popular tools accessed in many industries ranging from medical drugs and food products to construction materials is Planetary Mixer. This machine is highly utilized to mix ingredients properly without any flaws. It is specially used when it is essential to form the paste-like consistency material mixture. This machine is basically accessed to rub and process bread dough. Not only this, they also accessed in the blending pasts and similar products for the construction industry. You will find this machine in factories & manufacturing facilities, construction sites, food establishments, and industrial & home kitchens. Due to its versatility, it is one of the essential machines in patisseries and bakeries. Its major feature is the interchangeable utensils so that it can be used for mixing paddle, dough hook, and whish. Material handling machineries are used to improve the quality of customer service, reduction of inventory, shortening of the delivery time, and also for lowering overall handling costs for manufacturing, distributing and for transportation. 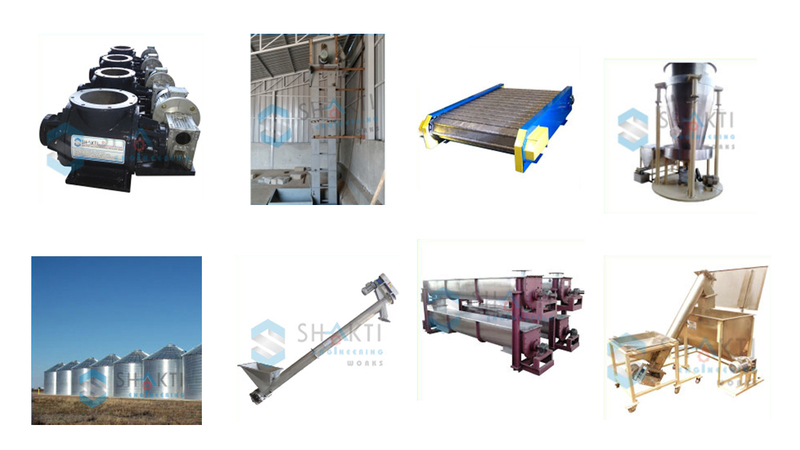 Shakti Engineering works is known for offering finest range of Material handling machineries in the market and that too of high quality and best price. No compromise is made to the manufacturing process and different varieties of Material handling machineries are made available as per the need of the end users. The machines are available at an affordable price range.